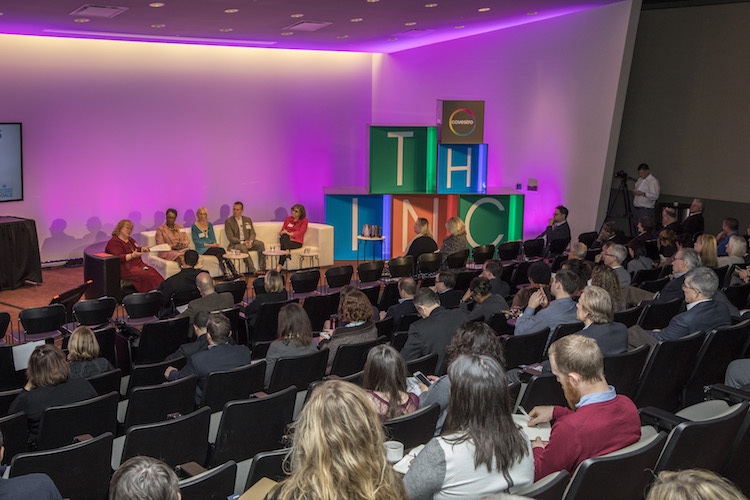 Last year’s THINC30 featured a diverse mix of panel discussions, fireside chats, spotlight speakers and keynotes – all of which offered a well-rounded perspective on how to move Pittsburgh toward a more sustainable future. Like many Pittsburghers, I’m so proud of our city’s strength and resilience. It’s true. Pittsburgh is doing well. But, are all Pittsburghers doing well? 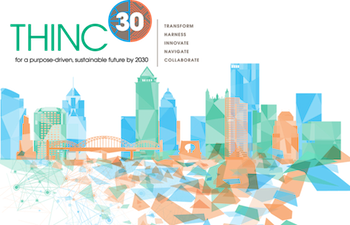 On Wednesday, October 17th, participants from business, nonprofits, academia, and engaged citizens will gather to discuss how all Pittsburghers can participate in the region’s prosperity when Covestro proudly hosts our second annual THINC30 summit at the Convention Center. Register here. THINC stands for Transforming, Harnessing, Innovating, Navigating and Collaborating – all for a purpose-driven, sustainable, inclusive future by 2030. Our goal with the summit is to bring together like-minded people who want to build this region and make it more sustainable, inclusive and participatory, using the 17 United Nations Sustainable Development Goals (U.N. SDGs) as our guide and corporate social purpose, nonprofit mission and people purpose as our drivers. Bottom line, she – and we – want to make Pittsburgh the absolute best place to live, work and play for everyone who calls this region home. 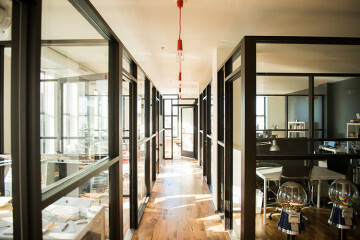 Doing so requires attention to a range of sustainability factors. THINC30 creator Rebecca Lucore served as the master of ceremonies at the event’s debut last year, convening the Pittsburgh community around the topic of sustainability and starting an annual tradition. When people think about sustainability, topics like Climate Action (Goal #13), Affordable and Clean Energy (#7) and Clean Water and Sanitation (#6) naturally come to mind. But sustainability also means No Poverty (#1), Zero Hunger (#2) and Reduced Inequalities (#10). Yes, it is about environmental protection, but it’s also about the protection of human rights and needs. With that in mind, this year we’re taking a deeper dive into issues the goals address and offering a day of plenary sessions, workshops and breakouts. In our industry breakouts, attendees will learn about the business case for sustainability. They’ll meet local companies that are embedding one or more of the U.N. SDGs into their business strategies and creating value around them – and attendees will learn how their own companies can, too. The social breakouts will feature novel approaches some local nonprofits are taking to disrupt traditional models, as well as local, national and international social innovators who are breaking the mold. Bringing the global U.N. SDGs local is critical for this region. At last year’s THINC30, attendees identified a handful of priorities they believe are the biggest challenges for this region. These include eradicating poverty, reducing inequalities, fostering diversity and inclusion and promoting social justice – which are also major issues identified by the One PGH Resilience Strategy. Poverty, for example, is particularly pervasive and persistent among our African American community. It’s been consistent at roughly 30 percent for more than a decade. Right now, Pittsburgh’s 2017 equality score is 55 out of a possible 100, according to the Pittsburgh Equity Indicators. The impact of bias and stereotypes in popular culture and media also will be examined by an expert panel. Several years ago, national research from The Opportunity Agenda showed that media over-depict African American men and boys in stories about violence, crime and poverty, while the positive aspects of their lives, such as fatherhood and work, are largely ignored. Two reports from The Heinz Endowments, which have analyzed news content from local television and daily newspapers, show Pittsburgh’s reality is much the same. We’ll delve into this, as well as the problem of neighborhood displacement due to gentrification, and one of the most disturbing and heartbreaking social justice phenomena – the school-to-prison pipeline. We have a problem here. A new study from Pitt’s Center on Race and Social Problems shows black students are suspended from school at more than double the rate of their white classmates. That’s a road that doesn’t end well for many of them. Of course, we can’t talk about sustainability without addressing the environment. Today, one of the most influential books on climate change is “Drawdown.” It is a groundbreaking research project that presents the most comprehensive plan ever proposed to roll back greenhouse gases and reverse global warming within 30 years. What’s truly fascinating is that the project authors did not devise the plan. 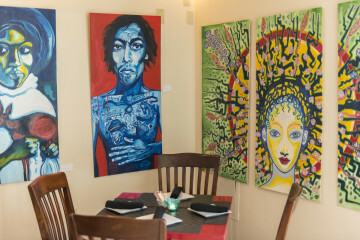 It already existed in different pieces. So, they gathered a qualified, diverse group of researchers from around the world to identify, research and model the 100 most substantive, existing solutions to address climate change. Dr. Wilkinson, one of the lead researchers of the Drawdown project and an editor of the book, will lead summit attendees as we create our own drawdown plan for Pittsburgh. It’s a big job – making this region more sustainable. And it will take all of us working together. The summit should be an exciting, interactive day, and we welcome everyone who is passionate about Pittsburgh to come join us and be part of the change.